So you finally got an ecommerce site? Great! They are pretty commonplace these days, and with so many tools like Magento, Bigcommerce, and Shopify out there, it's faster and easier than ever to build and manage your online sales. You've invested a lot of time and evergy into building the machine to get sales, fulfill orders, ship things from your store, and handle customer issues, and after all that work... you aren't selling that much! So what's next? If you aren't satisfied with your ecommerce sales, or are just looking for new avenues to sell your products online or attract attention to your site, we've got some ideas for you. Don't sit back and hope customers come flocking to your site out of the blue, there are lots of options for ways you can create buzz and sales. Check out these different ways you can direct people to your site or sell your products in new ways! Plain and simple, sometimes you need to put in a little more to get more out of your ecommerce campaign. Building an Adwords campaign doesn't have to cost an arm and a leg, but it does take some time and energy to learn how to put together a good one. Targeting the right keywords can yield excellent results and capture traffic from searches that normally don't hit your site. The further you get into Adwords, the more you can finetune and optimize your campaign to maximize the results you want with minimal spend. Adwords is an integral tool to improve your presence on Google and draw in new potential customers for your ecommerce site. Much like Adwords, affiliate marketing puts your ads on sites all around the web and reaches potential customers you might not have a chance to reach otherwise. Bigger sites like CJ Affiliate and Avantlink can help put your custom text ads and CTAs on a wide range of sites, and you control which sites and ads go where. You pay a small commission when you sell through an affiliate site, but that's a small price to pay for a new client to retain for life. Affiliate marketing takes a little bit of time to set up on the front end, but once it is in place, you can see new visits and customers come through on a regular basis. If you aren't doing ongoing email marketing to potential and current customers, then you are really missing out on a great way to engage with your fanbase! Yes, email marketing can be spammy and annoying, but your emails won't be like that, right? When people make a purchase or sign up for your newsletter, they are opting in for some email, and you have the opportunity to provide value and educate them on your industry, your business, and your products. You can offer discounts, share new product announcements, and link to helpful blog posts. Email marketing will turn potential sales into actual sales, and will delight your existing customers, keep them coming back, and turn them into fans that won't stop talking about you to their friends! Get your email list together and start emailing through Mailchimp! Sometimes the best way to sell your products isn't on your site, it's on another, bigger, one. Everyone knows Amazon, but have you thought about getting your products sold there? It's not as hard as you might think, and gaining access to that level of exposure can really make a difference. How about Sears or Home Depot? All of these sites have straightforward programs that allow you to set up your products and sell to the millions of visitors that come through. While you won't get access to all their contact info for the email campaigns you are now successfully running, it's a good way to increase exposure to your brand, and next time they want to buy, they are more likely to come straight to your site. Finally, many people don't consider the huge power that daily deal sites still have in 2015. Sites like Groupon, Choxi, Woot, and Tanga are selling millions of items every day, and while it takes some work to get started there, the results can be impressive. You have to find the right site for your product, and the right price to entice sales, and manage the inventory and shipping, but the pain is worth the gain. 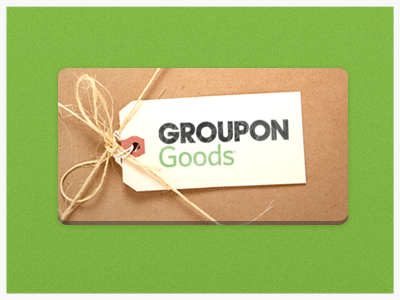 Selling on Groupon doesn't have to be incredibly difficult, especially if you find an ecommerce campaign partner to help get you started! 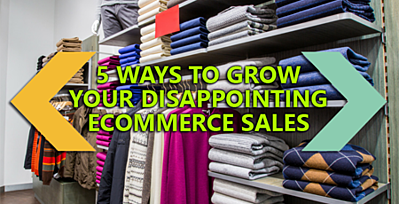 If you're not happy with your ecommerce sales, there's plenty you can do to jumpstart things. 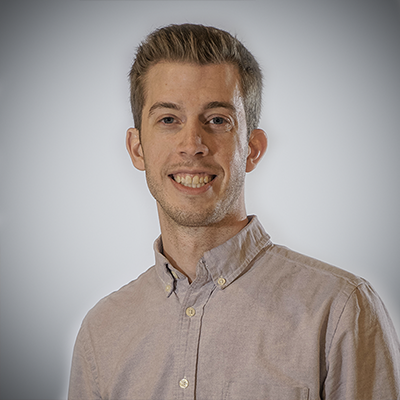 Finding ways to draw new customers to your site, providing value to your existing customers, and launching new vendor relationships to sell your goods is just the tip of the iceberg when it comes to ecommerce, but it can be a lot to handle. If you're looking to revitalize your ecommerce campaign, talk to us at Revenue River! We work with clients of all sizes to build, optimize, and grow their online sales and find new and creative ways to get their products out the door. You don't need to handle it all on your own, let us help!